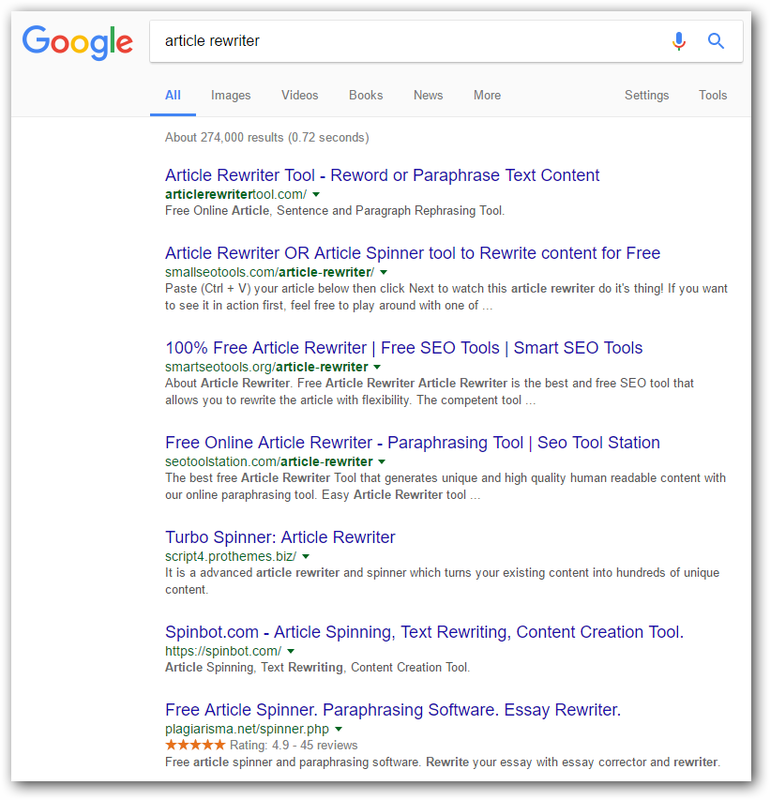 Article re-writers, ie article spinners are programs that re-write existing content automatically to make it unique. There are a lot of them, a quick Google search will show many programs (some even free). At a very basic level, article re writers work by replacing words or phrases with an equivalent word or phrase. Its essentially a souped up version of the thesaurus synonym function you may have used on MS Word. Need Help Optimizing Content For SEO? Analyze your articles for free. The magic with article rewriters is that they have an automatic feature that randomly selects synonyms for you so that an article can be entirely re-written without human input. They will replace words with replacements that sound utterly incorrect or just plain weird. You spend considerable time proof reading suggested rewrites to make sure they are correct. If you looked at the example picture above, you can see that the suggested synonym for “alcoholic” includes “drunkard” and “dipsomaniac”. Which can make sense for some suggestions but because its the word “alcoholic beverage” … “drunkard beverage” is an obviously incorrect rewrite. The software doesn’t know that, only you do because at the end of the day, if you want a perfect re-write it requires human intervention. These aren’t just bold claims. 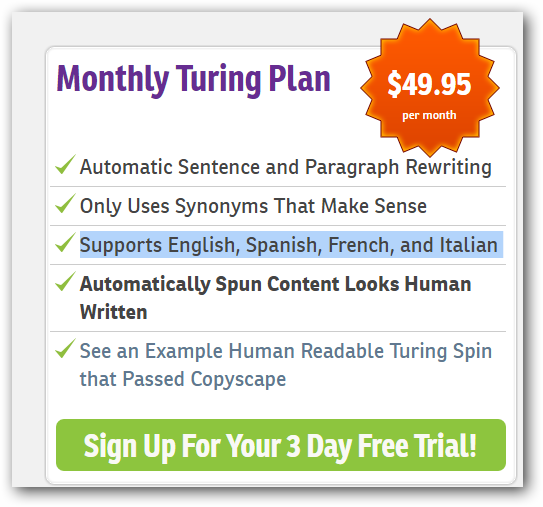 Even at $49.95 a month, the spun content LOOKS human written, but certainly doesn’t READ perfectly human written. Although the output might be better compared to other rewriters on the market, it still doesn’t beat what a native speaker will do. 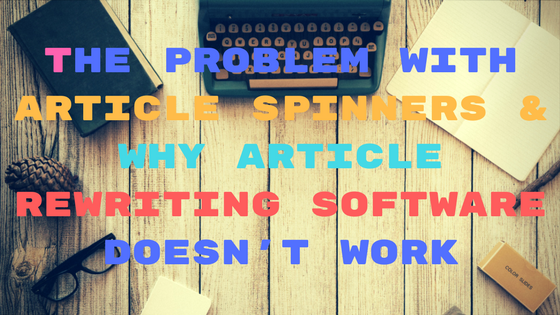 Admittedly, there is no such thing as a perfect article rewriter and the time you spend fixing the ouput of one could be better spent actually writing a new article. Although Article Insights requires you to actively mine keywords and select research for your article, the one thing it does do very well is that it streamlines the research phase of your article. By giving you a list of keywords to target it focuses you and makes writing your next article a more enjoyable activity. Article Insights works best when it is used as an extension of your normal writing process. Instead of guessing what keywords and topics you should write about, all that is done for you & presented right in front of your eyes. In fact your next article takes immediate shape as keywords and topics form a plan of attack for your next article. Looking for an easy way to write optimized SEO Content? Analyze Your Articles for free (no obligation). How to get new article ideas? No payment details required, get your own article content recommendations now! How do web crawlers work?